Phase 2 of Brough Relief Road, which connects Moor Road in the east of the town to the Brough South development, has won a prestigious award for excellence. The project won second place in the £5m and over category of the Institute of Civil Engineers (ICE) Yorkshire and Humber awards. Phase 2 of Brough Relief Road was funded by the Brough South Consortium and Homes England, and was carried out by civil engineering specialist CR Reynolds in partnership with East Riding of Yorkshire Council and Network Rail. 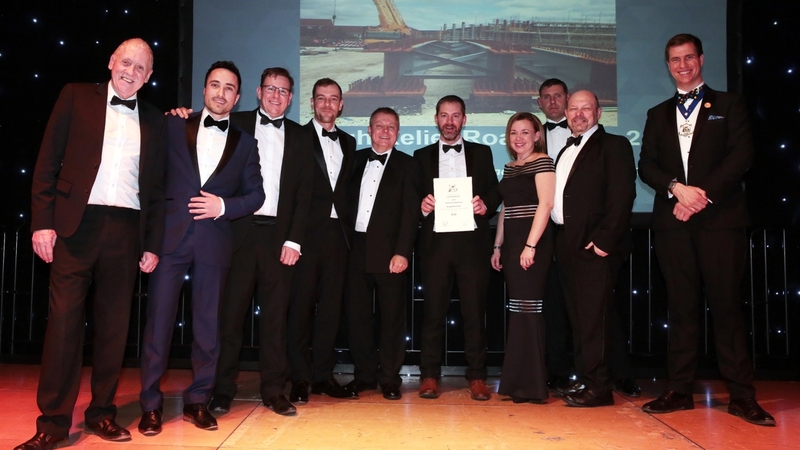 The awards, which were held on Friday, March 15th, celebrate the best in civil engineering projects in the Yorkshire and Humber region. As well as placing second, Phase 2 of Brough Relief Road won a Certificate of Excellence at the ceremony, recognising the quality of design and workmanship that has gone into the scheme. Ian Hodges, managing director of the Horncastle Group PLC – the development company bringing Brough South forward – congratulated all parties involved in the work. He said: “Phases 1 and 2 of Brough Relief Road have been extremely successful in linking the land to the south of the railway line to the rest of the town and the A63. East Riding of Yorkshire Council is currently seeking planning permission for Phase 3 of Brough Relief Road which will provide the final link to Humber Enterprise Park and Skillings Lane and reduce congestion and HGV vehicle movements in town centre. Subject to approval, work could start on the project this year. The £200m Brough South Development is being brought forward by the Horncastle Group PLC with funding assistance from Homes England, on behalf of the Brough South Consortium which is made up of the developers, local landowners, Alma Jordan (Builders) Ltd, Riplingham Estates Ltd and BAE Systems.